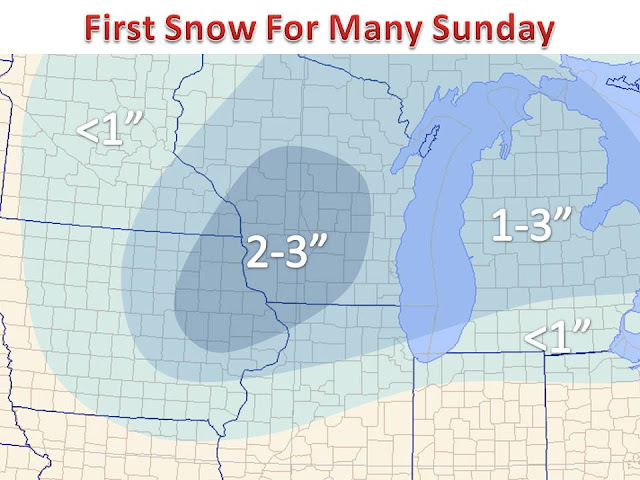 A weak storm system will bring the first round of accumulating snow for many across the Upper Midwest on Sunday. Generally 1-3" is expected for most areas that see persistent snow. With the more moderate snow coming during the afternoon for many, accumulation on roadways will be minimal south of I-90 as temperatures will be hovering right around freezing. 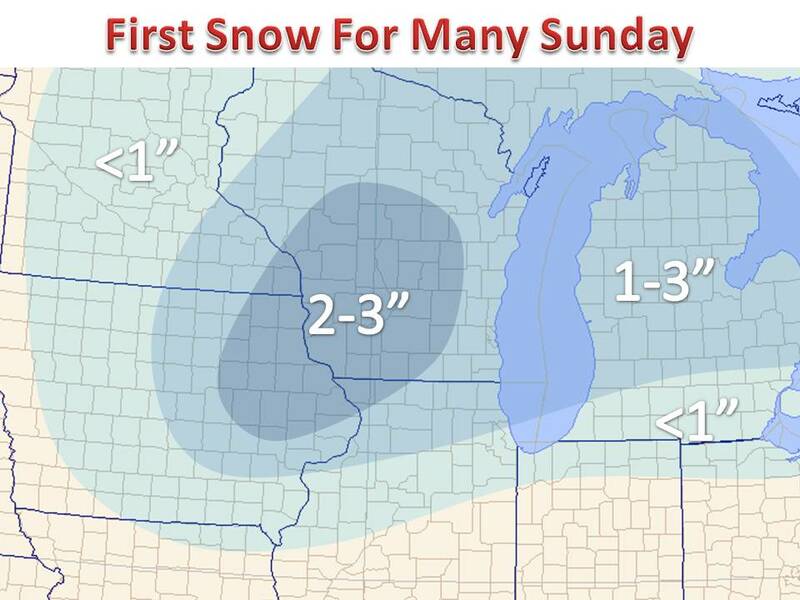 Persistent bands of moderate snow may yield up to 3", maybe 4" of snow on grassy surfaces in southwestern Wisconsin. Total snow forecast by Monday morning below.